The best mail for us creatives, looks a lot like this awesome zine. Colorful, bright, inspiring and so so happy. Who wouldn’t want all that to arrive in their mailbox? Shelly Massey (a wee bit warped) is a dear friend of mine, and I may be a bit biased, but I am so smitten over her illustrations and hand lettering. It all makes my heart smile and I am sure it will make yours smile too. Inside you can find quotes, thoughts, places to doodle, journal, makes lists and so much more. This issue above is the Believe Issue, and there are many more issues to come. I hope you will hop on over to check out what’s next up on the roster. Shelly has very generously offered a zine to one lucky Creative Kismet reader. Please leave a comment and I will pick a winner on Monday. This entry was posted in Mail box, Reading. Bookmark the permalink. This is such an adorable Zine. I love the colors and the fact that there is space to write in it. I made my first Zine a couple of weeks ago and am smitten by them. 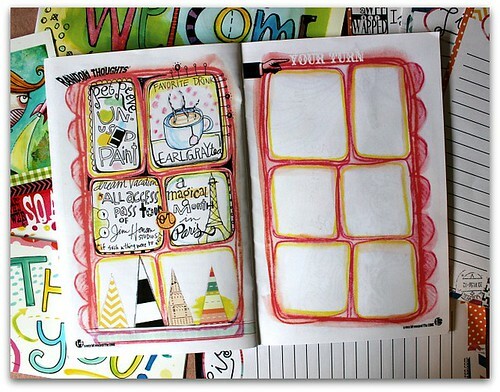 Love the colors and areas where you can add your own doodling. I also like the theme because it inspires me to add my own thoughts and dreams whenever it strikes my fancy. I would be thrilled to see this in my mailbox. OMW its so gorgeous! it would make my whole year to win a prize like that!!!! Absolutely adore the Zine! I knew there was a reason (aside form late pregnancy insomnia) that I was awake at 4am–thanks for the cool giveaway. Yours paintings have been awesome lately, Regina. I had the pleasure of working with Shelly years ago and she is an amazing woman! I still remember the pep talk she gave me. I knew she was artistically talented but didn’t get to see her work until after she was gone. I love her creative imagination and how she can put it to paper. I would be ecstatic to win her zine! Thanks you for sharing this with us — I love zines. Beautiful pocket inspiration. What a whimsical and uplifting creation! Thanks for this great opportunity to win! I’m all about ‘believing’ right now. Sometimes we don’t believe in ourselves enough! I would love to win this; thank you for the opportunity. I believe! …This looks like a cool and fun way to bolster my creative side. She has been hiding away for some time now. Oh definitely would want! I love creative little zines! Love love love the Zine!!! If I won, I’d give it to a friend! What a brilliant idea to make the zine interactive! I would love to win this to use as an example for the kids i work with. Thanks for letting us know about Shelly and her wonderful zine! I love the Zine! If I win I’ll have my copy sent to a friend since I’m already a subscriber. Oh my gosh, how gorgeous! I would love to have one! I love Shelly’s work, too. I’d love to win a zine! 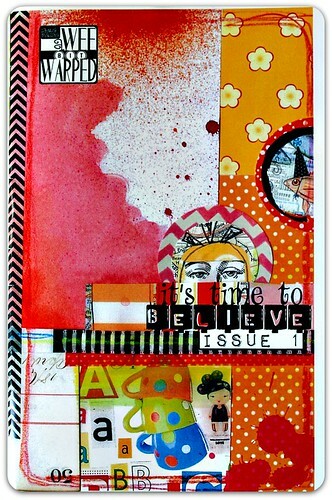 I love all the bright positive colors and the journaling pieces! Thanks for the giveaway! Oooh! Shelly does it again! I would love to win her lovely zine 🙂 hope your day is sparkly Regina! Miss you friend! 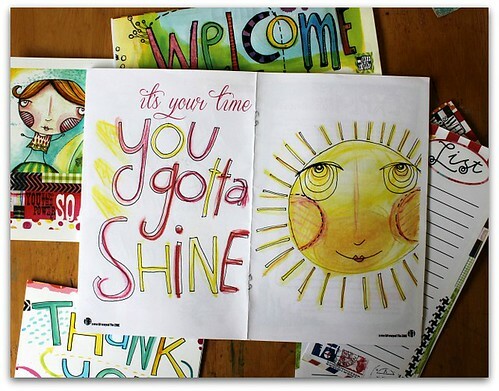 I am such a fan of hers, her artwork is like a big smile:) Looks like a wonderful zine!